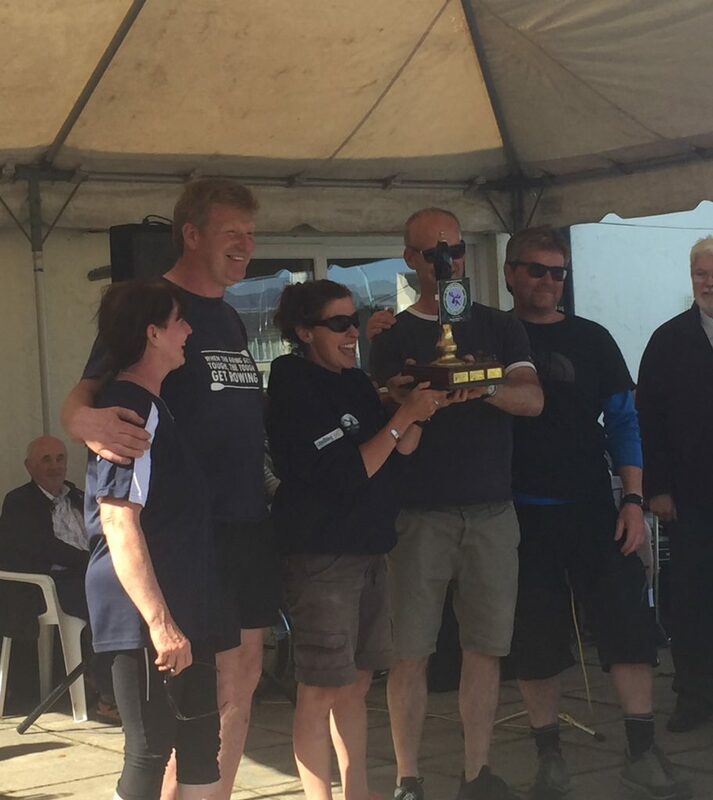 A fantastic day’s racing was had by the club on Saturday May 19th thanks to the rowers and members of MYC in Porthmadog who arranged the sea race from Porthmadog to Pwllheli (about 13km) in fantastic conditions. 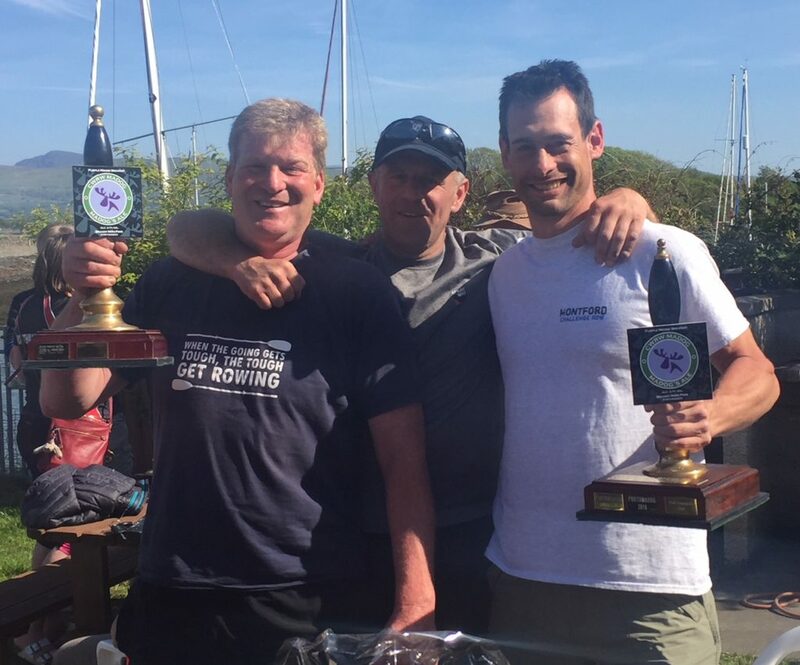 Our mixed crew of Matt Mayne, Kelda, Bev, Chicken and Martin won their race in style, whilst Matt Ashton, Jamie, Ed, Fu and Dave Ward had a very hard fought race with MYC’s men’s crew over 2 hours and 12 minutes to win by just 30 seconds and take the trophy. MYC then treated everyone to a superb buffet, live band and charity raffle and auction in aid of Kelda’s Climbing Out charity. A great day out and 2 wins for the (soon to be commissioned) trophy cabinet.